A Long Dream of Home (The Persecution, Exodus and Exile of Kashmiri Pandits), edited by Siddhartha Gigoo and Varad Sharma, is a collection of memoirs of Kashmiri Pandits who lost their home, their lives and who are steadily losing hope of ever returning to the Valley. Sidhartha Gigoo, filmmaker and author of A Fistful of Earth and Other Stories, The Garden of Solitude and winner of the Regional Commonwealth Short Story Prize 2015 for The Umbrella Man tells us why it was important for him to put together A Long Dream of Home. Imagine living in a refugee camp for twenty-five years. In 1990, about half a million Kashmiri Pandits were forced to leave their homes in Kashmir to save their lives when Pakistan-sponsored militancy erupted there. Pandits were an ethnic minority in Kashmir, and Muslims were the majority. Many Pro-Pakistan insurgent outfits gave the Pandit community an ultimatum to leave Kashmir or face dire consequences. Suspicion, betrayal and mistrust divided the Muslims and the Pandits. After fleeing Kashmir, the displaced Pandits found shelter in temples, sheds, barns, canvas tents and schools in the Jammu province of the state and other parts of India. They lived in deplorable conditions in camps that lacked even basic civic amenities. In these cramped spaces there was neither privacy nor security and safety. It was a life of degradation, deprivation and indignity. Thousands perished due to diseases, mental sicknesses, heat strokes, sunstrokes, hostile climatic conditions and accidents. They scrounged around for even the basic necessities. Even today, thousands of displaced Pandit families are languishing in camps in and around Jammu. 2016 marks the 26th year of the exodus of the Kashmiri Pandits from their homeland, Kashmir. I have been a witness to this camp life. To be forced to live in camps for a quarter century is nothing but holocaust. People were left to perish. 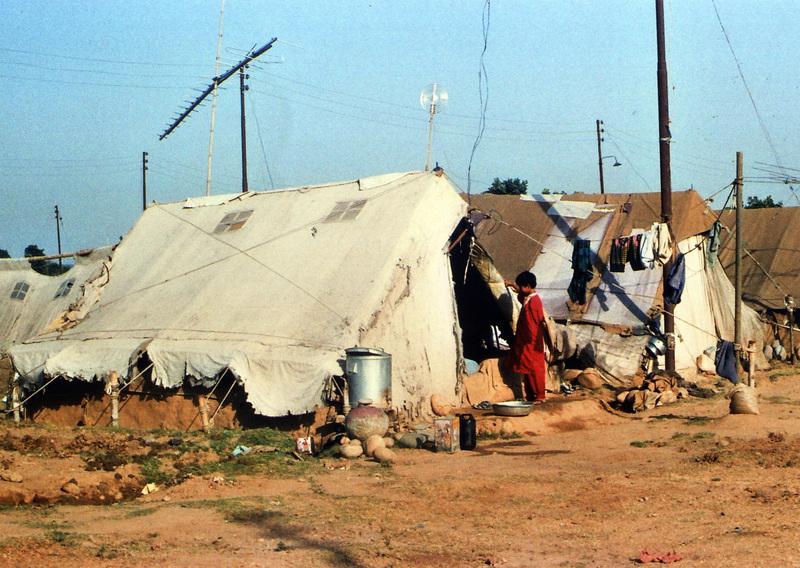 Thousands lived in tents for the first ten years. Then they lived in One-Room-Tenements. The socio-psychological impact of 25 years of camp life is visible now. The new generation born and brought up in camps is rootless. The condition of thousands of camp-dwellers continues to be pathetic. My generation is busy looking after the elders and earning a livelihood. We dangle between hope and despair. There is a deep sense of betrayal. Our identity is on the brink of extinction. Vested interests in Kashmir don’t want us back in Kashmir. The government is doing nothing. Even today, we are called ‘migrants’ and not ‘internally displaced people.’ We’re the marginalized people of our own country. As if we left of our own accord. It is important to know the history of Kashmir to understand what Kashmiri Pandits have gone through over the centuries. Kashmir has seen brutal conquests and conflicts – of class, of faiths and of ideologies. 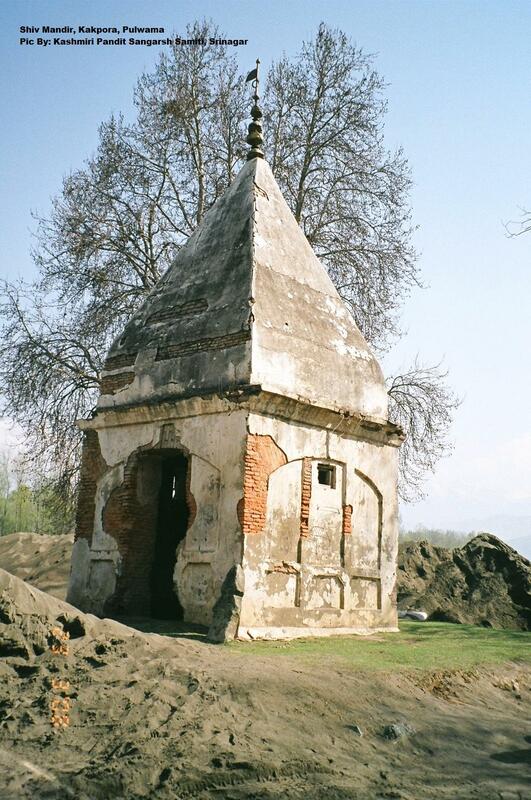 Over the centuries, the Pandits of Kashmir have faced persecution by successive Muslim rulers. In the later fourteenth and early fifteenth centuries, Sultan Sikandar ‘Butshikan’ (destroyer of idols), descendant of Shah Mir, the founder of the Shah Miri dynasty of Kashmir, unleashed a reign of terror, imposing jizya (poll tax) on Pandits, ravaging ancient temples and forcibly converting them to Islam. The repression of Pandits in Kashmir continued throughout the seventeenth, eighteenth and early nineteenth centuries during successive Muslim regimes under the Chaks, Mughals and Afghans. What happened in 1989 was a well-thought-out plan to oust Kashmiri Pandits from Kashmir. The plan was to Islamicise Kashmir and seek its merger with Pakistan. One can go on and on about how Pandits have always been soft targets. Sadly, in the current political discourse, Pandits continue to be a forgotten entity. Even today, the separatists in Kashmir vehemently oppose the idea of our re-settlement. They have the audacity to decide whether we should live in a separate colony or in different places. They don’t want us to return. But we won’t keep silent. Someday we will return. 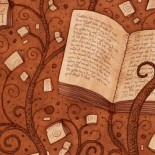 Until our homecoming, our memoirs will haunt them. The book, A Long Dream of Home, marks the end of twenty-five long years of silence of a community whose predicaments, ordeals and valid demands have not only been forgotten by the nation, but also not even addressed adequately by successive governments in India. While working on this book, I relived the horror each day. Terror. Persecution. Killings. Kidnappings. Camp Life. Disease. Desolation. Deprivation. Alienation. Readers should experience the horror we faced and continue to face. They should know what it means to be ousted from home, left to fend for oneself, live in camps for quarter of a century. The premise was to bring out memoirs of four generations. Those who were born and brought up in Kashmir, and fled while they were in their forties and fifties; those who lingered on in their homes in Kashmir despite the threat to their lives; those who got displaced in their teens; and those who were born in migrant camps in exile. These are stories about persecution, killings, camp-life, survival, alienation, the re-discovery of the past, ancestry, culture, and roots and moorings. The accounts cover a wide spectrum of experiences. There is an account of the persecution of a Pandit family in Anantnag in the spring of 1990 after militants kidnapped and murdered their neighbour’s daughter who was a nurse at the Sher-i-Kashmir Institute of Medical Sciences in Soura, Srinagar. One story is about a person whose name was on the hit list of a militant organisation in his village in Handwara, Kashmir. There is an account about the killing of Indian Air Force officers by ‘mujahids’. One person narrates an account of the days when the time in the clocks and watches in Kashmir was made to go back by half an hour to synchronize with the Pakistan Standard Time. A student paints a haunting picture of the horrors of camp life. 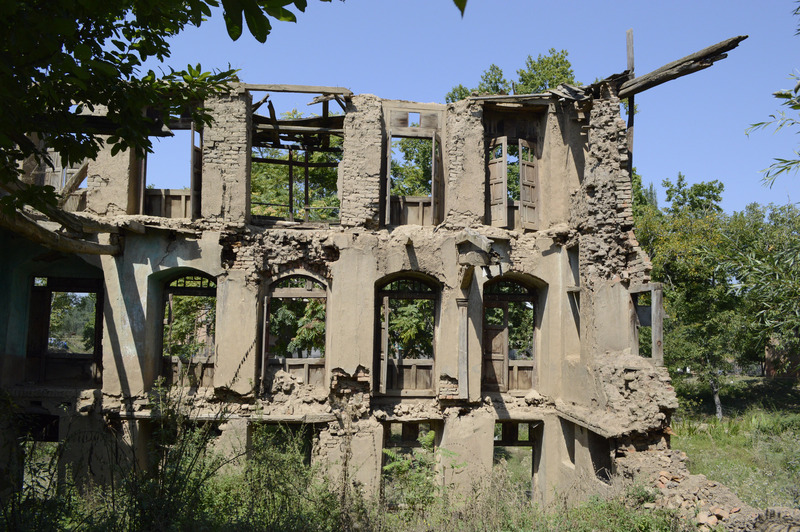 A researcher talks about the transformation she undergoes upon visiting her old house in Kashmir after twenty-two years. A teacher writes about the struggle of the displaced school and college lecturers to establish camp schools and colleges for the displaced students in the Jammu province in the early 1990s. Two teenagers and a seventy-year-old woman share their experiences of living in a migrant camp for twenty years. My father recounts the societal and political changes in downtown Srinagar before and during the turbulent period, paints a disturbing picture of his struggles in exile and sums up with two open letters addressed to Kashmiri Muslims and Pandits. A filmmaker describes the conditions in which he and his production team shot the television serial Gul Gulshan Gulfam in Srinagar despite threats from militants in 1989. 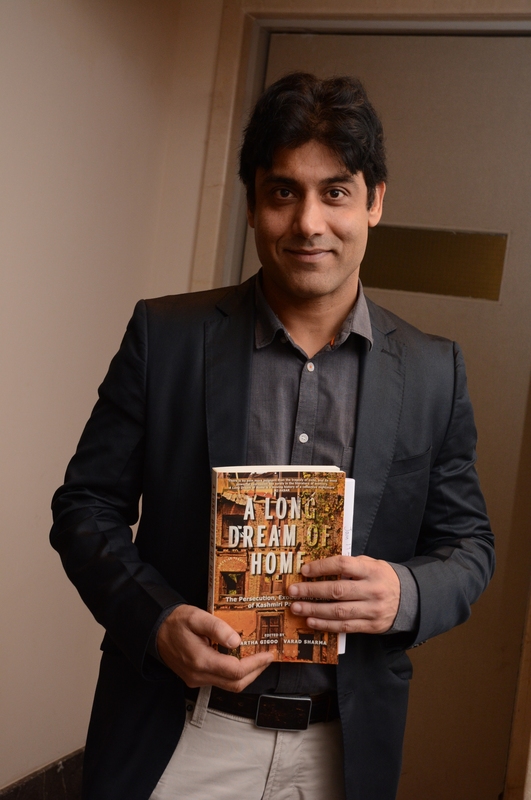 One award-winning writer has written an account of the twelve days he and his wife spent holed up in fear, isolation and gloom in their own home in Srinagar because they were not welcome in Kashmir after a brief stay in Delhi. Varad Sharma (co-editor) describes the conditions in which his family migrated from Kashmir, and explores how an inherited memory has become his only connection with his homeland where he can’t return. I recollect the last days of my grandfather who died of Alzheimer’s in exile and my grandmother who died when my parents took her to Kashmir to visit our ancestral house in Srinagar. This entry was posted on June 25, 2016 by Preeti Singh in Indian, Interview, Interviews and tagged A Long Dream of Home, Kashmir, Kashmiri Pandits, Siddhartha Gigoo.